William H. Staubi 88, of Rhinebeck, passed away peacefully on Saturday, August 11, 2018 at Renaissance Nursing Home in Hyde Park. Born April 7, 1930 in Newark, NJ he was the son of the late George W. and Magdalena A. (Eicnhorn) Staubi. After high school Bill served in the USAF from 1948 to 1951 during the Korean War. In 1962 he graduated from NYU School of engineering. He earned his MBA in management from Manhattan College and in 1983 his MBA in financial management from Pace University. 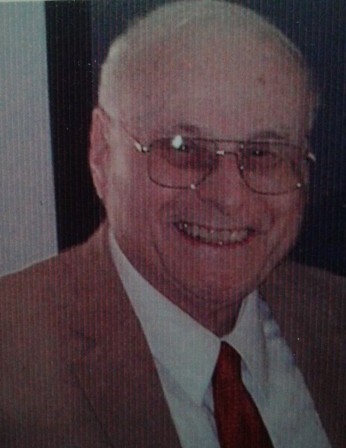 From 1952 to 2010 he worked various engineering positions throughout NY. Survivors include his wife Joann (Nero) Staubi at home, one son Paul and wife Karyn, two daughters: Cindy and husband Jim, and Carol, grandchildren: Kayla, Matthew, and Lexi Staubi. He was pre-deceased by his first wife, Dolores H. (Galish) Staubi, he was also predeceased by his brothers Walter and Herman Staubi. Calling hours will be on Friday August 17th at the Sacco-McDonald-Valenti Funeral Home, 700 Town Hall Drive Hudson, NY from 6-8pm with prayers offered at 7:00pm with Pastor Danny Petfield officiating. Calling hours will also be on Saturday August 18th from 12-1:30pm at the Hawthorne Funeral Home, 21 West Stevens Ave, Hawthorne NY 10532. Services will follow at the Hawthorne Funeral Home at 1:30pm with Pastors Steven and Caren Petfield officiating. In lieu of flowers please send donations to Pilgrim Camp 1542 Palisades Rd. Brant lake, NY 12815 To leave online condolences please visit: www.saccomcdonaldvalenti.com or www.hawthornefuneral home.com.